Glenn Heaton has owned his own business since 1989. After learning his craft of broadcast sound mixing, music production and everything to do with video production at the ABC’s Sydney studios, Glenn opened “Hullabaloo” to write and produce music themes and audio for TV shows. This led to being the only music, audio and video production company outside the USA to work for Walt Disney Special Events. After many, many productions and tours with live shows across Australia and Asia, this culminated some 9 years later with the presentation of an original concept to Michael Eisner – Head Of Disney. Technology advanced rapidly during this time and as a by-product of keeping up, Glenn learnt how to market his business using the internet. It’s this information and skillset that Glenn brings to your local business. Currently, Glenn’s music is licensed to many users, and ABC Music has just released 3 albums under their ‘Atmosphere’ label. Glenn has also been able to combine his business with his love of business, by composing the music for and mixing David Koch’s TV programs: My Business TV and Kochie’s Business Builders. Most importantly, Glenn understands the pressures and restraints of being a local business owner. ( He doesn’t like the term ‘Small Business’, because in this age, any business can have a global reach, and it kind of keeps a lid on a business owners perception for what their business is truly capable of). So, making sure your digital marketing works – and by that, Glenn means making money – is essential. The web has levelled the field for ALL local business owners. And if that’s you, you just need to get the right information about how to make it work for your success. 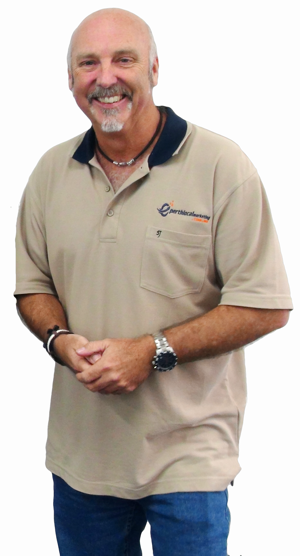 So, talk to Glenn about your website, video marketing, mobile apps and your complete digital marketing strategy. You can reach him on 0408 462 994 for a no obligation chat.